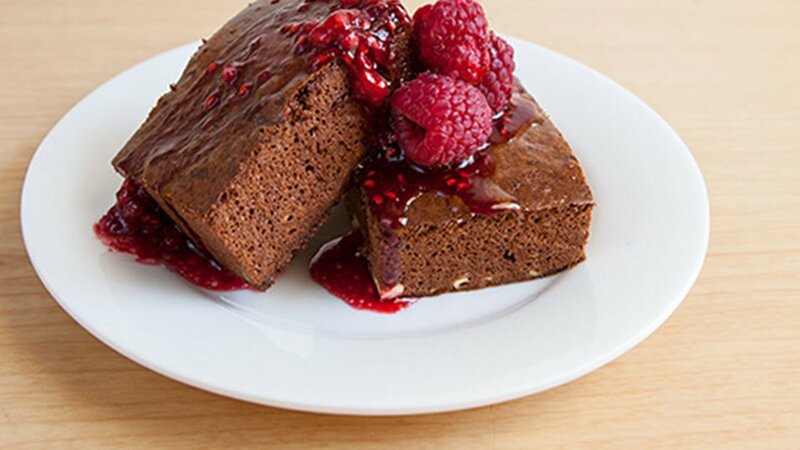 Get your coffee fix in protein brownie form with this recipe from IFBB Pro Bikini competitor Anna Starodubtseva. Blend egg white separately from yolks until they become foam. Add yolks, Truvia, cacao powder, cinnamon, baking powder, Fitness Fiber, and protein powder and mix in a blender. Manually mix in cream cheese. Sauce Directions: Heat a pan with coconut oil. Mix berries with Truvia in a bowl. Cook on medium heat for 3-5 min until the juice comes out of the berries. When the brownies are ready, place them in a fridge for two hours. Serve with warm berry sauce on top.